There are three different types of crimes in Pennsylvania: felonies, misdemeanors and summary offenses. Misdemeanor offenses are crimes that are less serious than felonies, but are more serious than summary or non-traffic offenses. 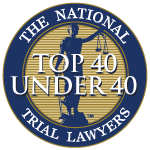 If you are facing a misdemeanor charge in Pittsburgh or Western Pennsylvania, you should work to find a misdemeanor defense attorney in Pittsburgh familiar with defending similar cases. WHAT ARE THE CLASSES OF MISDEMEANORS IN PA? First-degree misdemeanor: Up to 5 years in jail and a maximum fine of up to $10,000 in fines. Second-degree misdemeanor. Up to 2 years in jail and a maximum of up to $5,000 in fines. Third-degree misdemeanor. Up to 1 year in jail and a maximum of up to $2,500 in fines. Ungraded misdemeanor. Applies in drug possession cases, with first offense cases being punishable by up to 6 months in jail and a $5,000 fine with repeat offenses being punishable by up to 3 years in jail and $25,000 in fines. WHAT ARE THE PENALTIES FOR MISDEMEANOR OFFENSES? WHEN CAN I BE CHARGED WITH A MISDEMEANOR IN PA? If you or a loved one are looking for a misdemeanor attorney in Pittsburgh and Western Pennsylvania, call the Zuckerman Law Firm today for a free consultation at 412-447-5580.